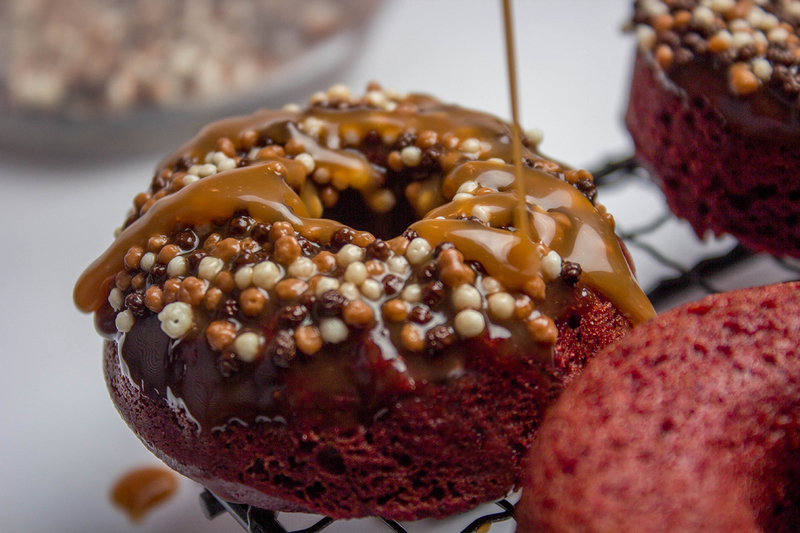 Re-live the sweetness of Valentine's Day with these decadent donuts! 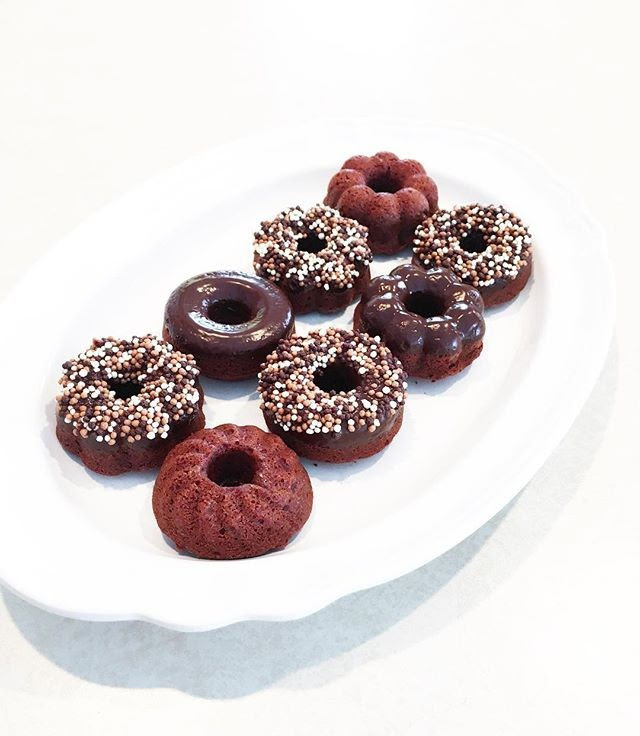 These red velvet donuts are gently dipped into a pool of rich, dark chocolate and crispearls. Topping it all off is a light drizzle of salted caramel to tie everything together! 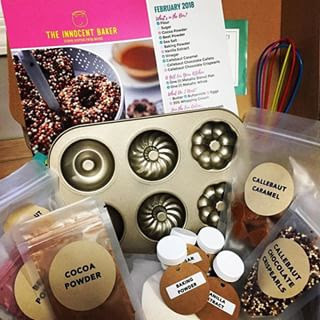 Bonus Tools Included: 1 donut pan and 1 whisk. Fresh Ingredients Needed: Butter, Buttermilk, Eggs and 35% whipping cream. Copyright 2018, The Innocent Baker. Inc.